LA's transplanted Brits strip away the gauze from their newest release — which is not to say it's less layered than previous recordings; guitars and stacked harmonies are polished 'til they glimmer and shine, with copious amounts of reverb coating the mix. And, as with 2002's “Fly Below the Radar,” they work within a specific sonic and emotional template that's dependably likable, if something less than transcendent. Lyrically, they dig a little deeper, questioning the rites of passage into adulthood (“Things I Left Behind”), mortality (“Hooked Up”), love and life on the road (“Biker Night”). Beachwood Sparks and Wallflowers fans not already tuned in should appreciate several tracks here. 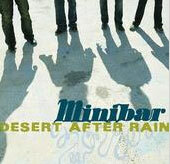 Minibar headlines at 10 p.m. Tuesday at the Troubadour in West Hollywood.